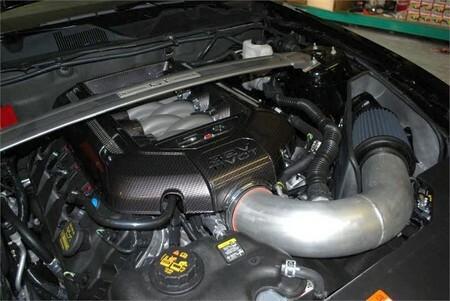 FastlaneTurbo is offering a new cold air intake system for the 2011 Ford Mustang equipped with the 420 hp 5.0 liter V8. The system features aluminum construction, CNC machined MASS Air Flow Meter flange and has an oil-free lifetime dry filter. The kit adds 12RWHP, which is a good amount of power considering it’s a light tweak. The kit is priced at $374.99 and comes with a 12 month warranty.